Prawns have personalities—and cautious crustaceans do better in the battle for food, new research shows. 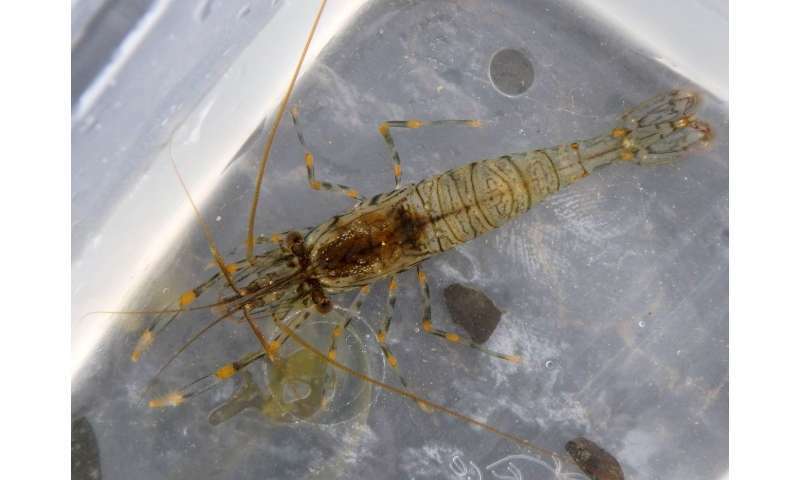 Scientists from the University of Exeter studied rockpool prawns (Palaemon elegans) and found some were consistently shy, while others were bolder. But this bravery may come at a cost—as the risk takers tended to do worse than other prawns when competing for food. "We found that the shyer prawns were better at controlling a food source," said first author Daniel Maskrey, formerly of the University of Exeter but now at the University of Liverpool. "This means that when they found food and possible rivals were nearby, they stayed and fed for longer than bolder prawns. "The reasons for this aren't clear, but it's possible that bolder prawns have a higher urge to go on and continue exploring. "We witnessed prawns fighting over food, and it could be that some use a bold exploration strategy because they favour searching for new food over competing with stronger rivals." Boldness was tested by repeatedly putting prawns into an unfamiliar tank and seeing how much they explored and ventured into the middle. 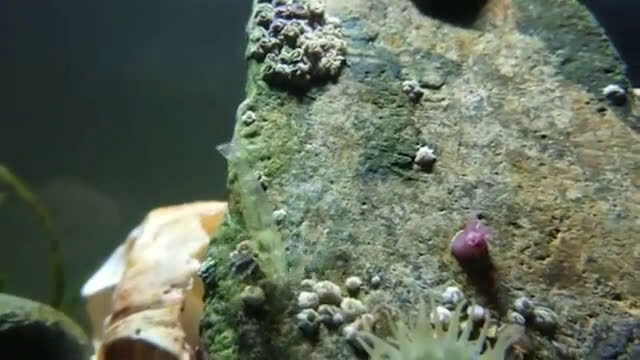 Dr. Tom Houslay, of the Centre for Ecology and Conservation on the University of Exeter's Penryn Campus in Cornwall, said the study could help scientists understand why members of one species—and even the prawns in a single rockpool—have different personalities. "Some individuals are more successful at monopolising food, while others are more willing to engage in potentially risky exploration," he said. "In different conditions and situations, either of these strategies might pay off—which might explain why evolution has not led to a single personality type. "The rockpools where these prawns live change with each high tide, and having such variation among prawns could be crucial when it comes to adapting to these and other changes." The prawns in the study were all from Gyllyngvase beach in Falmouth, and their feeding behaviour was tested using parcels of brine shrimp. Prawns were split into groups of similarly sized individuals to compete for access to food. 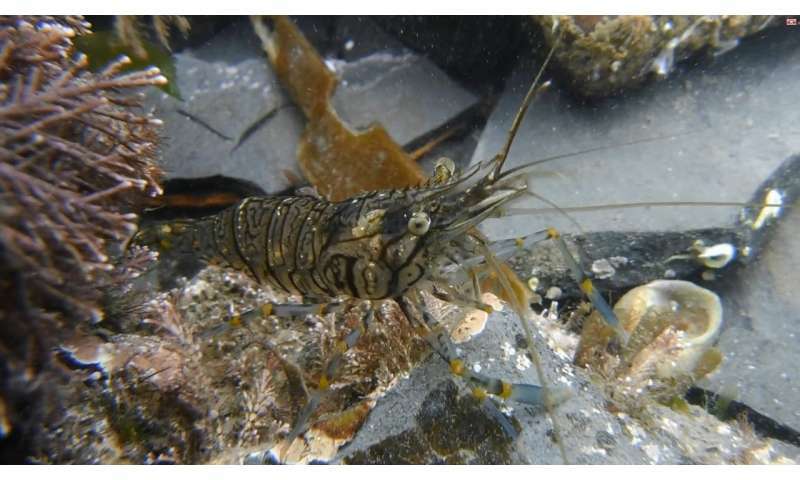 The paper, published in the journal Animal Behaviour, is entitled: "Who dares doesn't always win: risk-averse rockpool prawns are better at controlling a limited resource."